Come be a part of this tremendous opportunity to further your learning! 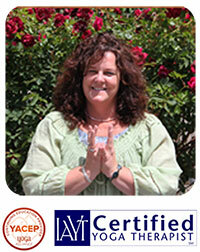 We are a 5 star Yoga Alliance registered school for YTT. Lotus Bloom Yoga Studio’s Yoga Intensive Studies Program upholds the highest standards of yoga instruction and practice. The Program includes in-depth study of the following areas: yoga asana, pranayama, bandha, mudra, mantra, meditation, yogic/tantric philosophy, yogic texts, anatomy/physiology, ayurveda, therapeutic applications of yoga, basic Sanskrit…and so much more. Lotus Bloom Yoga Studio is a registered Yoga School with Yoga Alliance, as well as a State Licensed Yoga Teacher Training Program. This program will enhance your knowledge and skills in order to build your confidence as a yoga instructor. Students will receive hands on teaching experience in a supportive environment allowing them to practice verbal and physical adjustments, skillful language, effective demonstrations and sequencing. This training will bring together all aspects of great teaching and will support you as you build confidence to express your authentic voice in the world of yoga. There are truly many reasons a student seeks out a yoga studies program, within the first weekend you soon discover that is not just a program but a authentic journey of self discovery. Deepening your knowledge through study, discussion and practice of the yogic arts & sciences a student can’t stop the expansion within their hearts, giving them permission to go beyond their expectations and limitations. Like a flowing current of Grace, this program will light the way to true transformation, allowing the opportunity time and time again to dive deep into the path of yoga. Ultimately, the study of yoga will bring you back home to your true intrinsic potential. Cheryl Walters has been teaching and sharing the gifts of yoga since 2001. She has been the director and lead instructor for Yoga Intensive Studies Programs and Yoga teacher training for Yoga Alliance locally for over 10 years. She has trained over 80 yoga students to become yoga teachers, and continues to mentor yoga teachers and yoga students Worldwide. What separates Cheryl from other yoga mentor’s is her years of experience with teaching yoga to different populations( Yoga for Vets, 12 Step Yoga, Yoga for M.S, PTSD & Trauma survivors, Healing from Body Image & Disordered Eating through yoga) and her years of being a successful professional yoga teacher and studio owner. Her guidance is rooted deeply in the belief of everyone’s infinite potential for greatness, never doubting the power of LOVE and never forgetting that our birthright is JOY! Cheryl’s life has been deeply enriched by the many gifts of yoga and has study several styles of yoga, but always finds herself returning to the powerful method of Anusara Yoga which she is certified in. Cheryl’s knowledge is expansive covering yoga therapy, physical adjustments, universal principles of alignments, asanas and yogic philosophy. The business of yoga and yoga for special populations. Cheryl has been in the field of integrated therapies and body-centered therapies along with addiction counseling for more than 35 years. She has impacted hundreds of people’s lives on and off the mat. Her teaching style is straight from her heart and full of compassion, depth and grace. Cheryl shines with her joy for life and love of people. 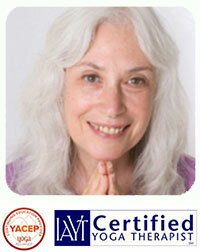 She is passionate about the transformation that exists for everyone within the practice of yoga. Cheryl has a remarkable gift for inspiring everyone around her to live and be their fullest potential, celebrating the beauty of life in all its diversity. Nischala Joy Devi: International Renowned Teacher & Author. 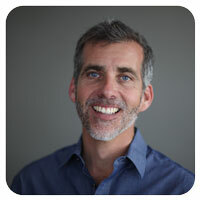 Will Duncan: International Lecturer & Meditation Teacher. 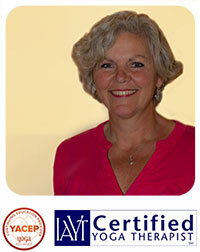 I Cheryl Van Demark: ERYT-500, CYI, PT, C-IAYT. Yoga Therapist & Yoga Anatomy Teacher Trainer. The non-refundable $100 application fee will be applied to the tuition payment. Upon acceptance into the program a $500 deposit must be submitted within ten days to hold a place in the class for the student. The remaining balance of $2050.00 is due by December 8th, 2018. The non-refundable $100 application fee will be applied to the tuition payment. Upon acceptance into the program a $500 deposit must be submitted within ten days to hold a place in the class for the student. The remaining $2250.00 is due by the first day of class.